So you’ve decided to visit Hawaii; that’s so exciting! And then you sit down and try to figure out where you might spend your week or so, and it’s so overwhelming! We’ll break it down and hopefully make it easier for you. First, there is not a right or perfect answer. All of the islands have something to offer and it takes time (years!) to explore and appreciate them thoroughly. You will enjoy your time on any of the islands. Besides living on O’ahu, we have spent many weeks on each island and still not yet seen everything there is to see. Don’t focus on what you won’t have time to see on this trip. Focus instead on what you DO get to see and then on planning your next trip back! To understand the differences between the islands, we need a short geology and meteorology lesson. Who would have thought that a great vacation would require some 8th grade Earth Science first?! The Hawaiian Islands are a group of islands (archipelago) that are millions of years in the making. Remember plate tectonics? In short, picture the Pacific Plate moving northwest (think Mexico toward Japan). Well, in the middle of the ocean is a flow of magma that has been slowly depositing itself and building island after island as the plate moves northwest. If you look at a map of the islands (see below) they go from youngest to oldest as you go east to west. As the islands age, they erode and shrink back in the sea that birthed them. The erosion leads to more beaches and shorter mountain peaks. In fact, the island chain continues way up to Midway Island (and those islands are protected and we can’t even visit them. For more, read about the Papahānaumokuākea Marine National Monument on Wikipedia. The short of this lesson is about the trade winds. The “trades” blow from the northeast toward the southwest (think from Vancouver to Australia) and bring cool winds and, more importantly, rain. Why is that important? Each side of the island that’s the “windward” side (meaning it gets the trade winds first) are the wetter sides of the islands. And it can be drastic! It can be ten times more rain a year compared to the leeward side (the opposite coast). It means the windward side (again, often the northeast facing shores) are more lush and green, but also rainier. 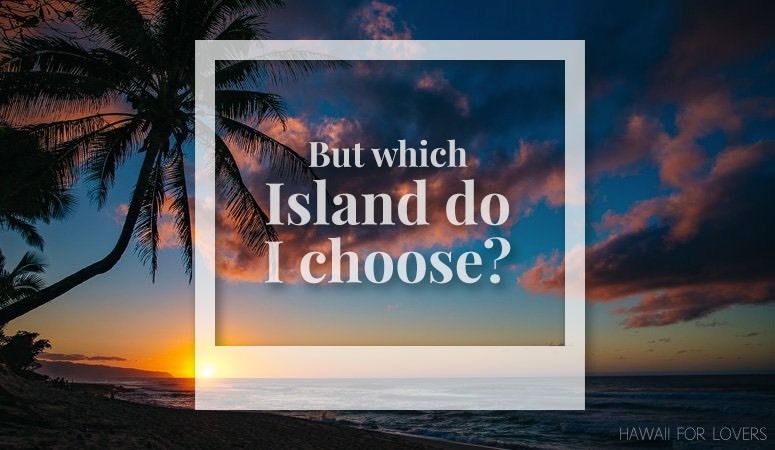 Let’s take a look at them and understand the basics of each island. The youngest of the islands (by a few million years), this is where you will find the active volcanoes (Volcanoes National Park) and miles upon miles of volcanic rock. It’s also home to Mauna Kea and the tallest peak of any of the Hawaiian islands (again, it hasn’t had the many millions of years to erode yet). 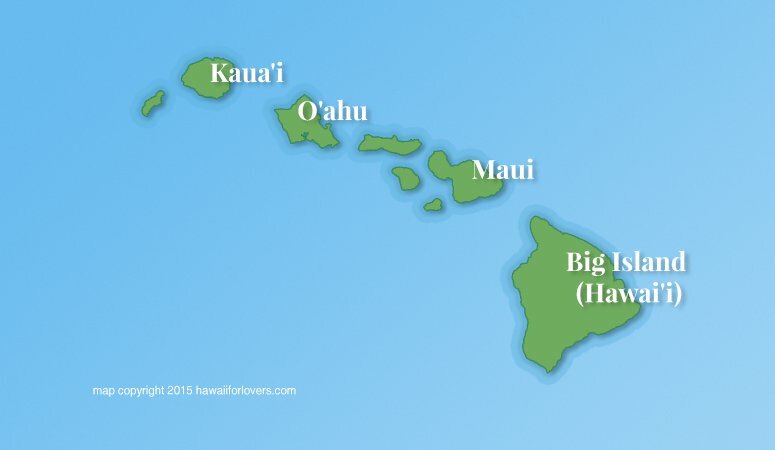 It’s the island which is actually named Hawai’i; although people normally mean the entire state when the say that, hence the nickname: the Big Island. The Big Island is the largest and takes a few hours to drive across or around. There is plenty of hiking and beach activities around the island. The Big Island is also home to almost all of the different climate zones found on earth. They even get snow on top of Mauna Kea sometimes! Check out our blog posts about things to see, do, and eat on the Big Island. Maui is the second oldest of the islands. And what was one large island is now four smaller islands (thanks to erosion!). Maui has two large volcanic peaks (one being Haleakala National Park) with a large flat valley in between. You can picture how in a few hundred thousand years, Maui will be transformed into five separate islands as you drive the valley between them. Until 2016, the valley was home to the last sugarcane plantation in Hawaii. 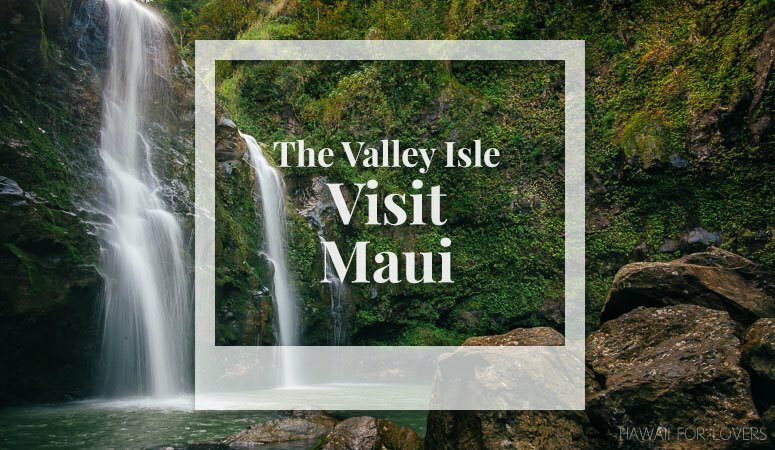 Check out our blog posts about things to see, do, and eat on Maui. O’ahu is the most populated of the islands. It’s home to Honolulu, Waikiki, the North Shore, and Pearl Harbor. While there is a lot to see and do here, it’s also the most developed and busy. Some people avoid it for that reason, but there is plenty to love about O’ahu. 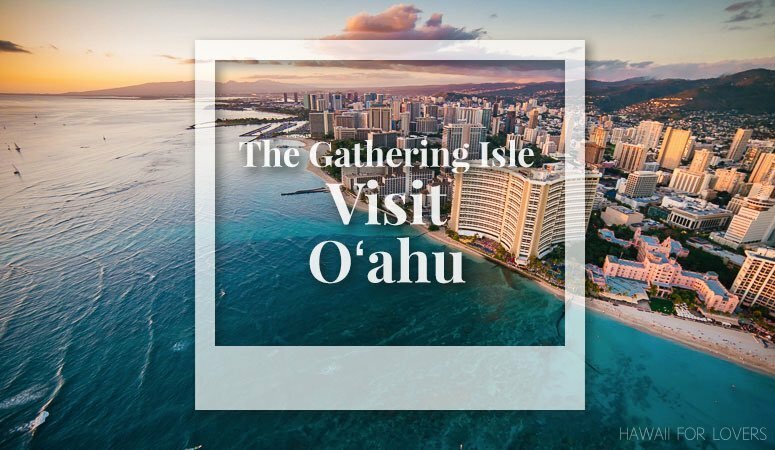 O’ahu’s main areas are: Honolulu and Waikiki on the south shores, some of the world’s top rated beaches on the windward side (such as Lanikai and Waimanalo), the famous surf breaks of the North Shore, and the resort area of Ko’Olina on the west side. There is plenty of hiking and beach activities around the island. O’ahu’s Hanauma Bay is famous for it’s snorkeling (although there are plenty of areas on all of the islands for that). O’ahu also offers some of the best high-end shopping. O’ahu goes from rural to busy downtown cities. Its main airport is in Honolulu. Check out our blog posts about things to see, do, and eat on O’ahu. 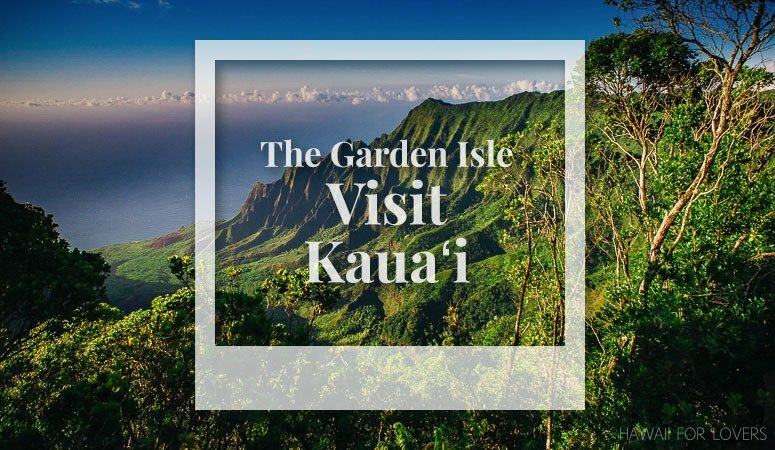 From the dramatic cliffs of the Na Pali coast to the humbling and inspiring Waimea Canyon (the “Grand Canyon of the Pacific”, Kaua’i offers an endless landscape of beauty and relaxation. Kaua’i goes from rural to, well, pretty rural. There are a few cute small towns and some resort areas but Kaua’i remains the most undeveloped of the islands – and the locals want to keep it that way. Its main airport is in Lihu’e, the largest of the cities.. Check out our blog posts about things to see, do, and eat on Kaua’i. // That’s all great info, but How do I choose an island? Remember, there isn’t a right or wrong choice here. They are all beautiful and offer so many opportunities to have a romantic adventure together. The airports on each island all fly to the US mainland (and many other destinations) so you can do an “open-jaw” flight; meaning you fly into one city, enjoy some time there, hop to another island, enjoy some time there, and then fly home from that second island’s airport. If you’re only coming for one week, we suggest picking one island and making the most of it. Two weeks? Now you can start seeing a second, possibly a third island. Basically, five to six days per island is our idea of the minimum time you’d want to spend to enjoy what that island has to offer.